5 Foods You Might Miss in Buenos Aires and Where to Find Them! There’s no denying that food is central to our existence, and not just in the sense that you die if you don’t eat it! For many of us, eating great food, talking about food, and bragging to our friends about the amazing restaurant we just discovered forms a large part of our weekly activities. Expat life in general and Buenos Aires in particular can be problematic on this front, because it’s sometimes hard to get your favorite foods here. In fact it’s not unheard of for expats who move here expecting to stay a long time cutting their stay short because of ‘the food issue’ (granted, they’re usually vegetarians). Without further ado, here are five foods that you might miss while you’re in Buenos Aires, along with some suggestions for how you can get what it is that you want. For many people, including myself, Ranch Dressing is a religion. We put it on our pizza, salads, french fries, buffalo wings, you name it. You are either a “Ranch Guy/Gal” or you aren’t. Living in Buenos Aires is an obstacle to the worship of this divine product when you can’t find a sacred bottle of Ranch to dump on whatever food item you are currently eating. While you are not going to find Ranch in any restaurants, it can be found in some of the larger chain super markets across the city. At one of them I found “Paul Newman’s” ranch dressing and I probably payed about 30 pesos for it or more. A general rule of thumb here is any type of food you miss from back home that you can’t find widely available, check out a large supermarket. You can usually find over priced imported foods that aren’t popular with locals, like the common favorite, peanut butter. For people from the United States, it’s Mexican food. For Australians, it’s South-East Asian food like Thai and Vietnamese. And for English people, it’s Indian. For Mexican food in Buenos Aires you have a couple of options, but the well-known California Burrito Company (CBC) located at Godoy Cruz 1781 in Palermo is a good choice. CBC is basically a direct rip off of Chipotle even down to the company’s branding and marketing artwork and it is definitely not as tasty, but when you are craving some spicy Mexican food, it is a great option. Another great Mexican food is La Fabrica Del Taco in Palermo Soho that provides an array of hot sauces to compliment your tacos. The hot ones are definitely hot, so give it a try. South-east Asian restaurants are not unheard of in Buenos Aires, but they can be disappointing. Maybe that’s not surprising. Every Vietnamese dish, for example, has at least 487 ingredients (trust me; I made a Vietnamese-style salad once about four years ago), and some of them must be hard to get hold of here, half a world away. Luckily, your savior is at hand in the form of Gibraltar, the English style pub Perú 895 in San Telmo. Their Thai green curry is authentically flavored and HOT. And they have beer. Score! Super-spicy Indian food was always going to be a problem in Buenos Aires due to the Argentine penchant for sweet and salty flavors as opposed to spicy/hot ones. Riding to the rescue however is The Bangalore Pub & Curry House at Humboldt 1416 in Palermo Hollywood. The food is good, maybe not great, but it’ll keep you going until you go somewhere with better Indian food (India, perhaps?). The other option is just to make your own Indian food at home using a jar of curry paste that you’ve smuggled through customs. Another option is to head to Chinatown in Belgrano. Many stores there sell different imported hot sauces that you might know of from back home. These can provide a great spice to any homemade food you want to make. Is it just a bun with a hole in the middle? No! Authentic bagels are of course boiled rather than baked, and particularly ex-New Yorkers can’t seem to go a day without one. The bagel-free zone that is Buenos Aires became such a problem that there’s now a business devoted entirely to providing expats with all the bagels they can eat, and by all accounts it’s doing well. They’re called El Bagelazo and they deliver bagelly goodness right to your door. A French friend recently returned to Buenos Aires after a trip home to France with no less than five different cheeses in his suitcase. Yes, there’s a man who’s missing his cheese. Despite the fact that Argentina is among the top dairy-producing and consuming countries in the world, it’s annoyingly difficult to get a decent bit of fromage here. However, one option is Valenti, which is a premium cheese chain with stores at Feria de Belgrano on Juramento, in Patio Bullrich Mall, and at Soldado de la Independencia 1185. It’s not cheap, but their cheese is undeniably excellent. The supermarkets and chinos in Buenos Aires certainly have what look like baguettes, but on closer examination (by eating them) they’re not even close. They’re sort of dry and flaky rather than crusty and fluffy like they should be, and they’re often tasteless as well. Bread. Such a simple pleasure, but annoying when you can’t get the good stuff. L’Epi Boulangerie at Roseti 1769 in Charcarita. It’s a French bakery (maybe the name gave it away), and not only do they have good baguettes, they also have pain au chocolat, and an excellent honey bread. Here you are a supposed “expert” on the “Where to find American desired” foods in B’s A’s. Maybe get out of your apartment once in awhile and do some real research gringo. Hidden Valley Ranch Dressing – Not found in any markets in B’s A’s period. Sure Paul Newman’s ranch salad dressing can be found at Disco for 30 pesos a bottle. The Casa Bar at 1150 Rodriguez Pena offers the real deal when you order their hot wings ( made with real Frank’ Red Hot ) aside form real fresh bleu cheese dressing. Not plugging this place , but it is the real deal and has the best chicken wings in Buenos Aires and they have Hidden Valley Ranch dressing. Basically, unless they ship it in you will not find anything like what you are accustomed to in the states. Hey it is Argentina and you must assimilate. I miss many foods not only from the states, but from all regions of the world and you are just not going to find them here. Big deal! Now in a city of very god pizza I want to find “The” best pizza and that should be heavy on sauce and foldable. 1. When did I say I was an expert? 2. I don’t live in an apartment, I live in a house in Chacarita. 3. I never said Hidden Valley Ranch is found in supermarkets. I said I found paul newmans. Not sure what your point is and why the hostility. The point of the post was to list some foods people might be craving from back home and where to find them. There is nothing that was said in this that was untrue and hopefully it should help some people out. This post isn’t about clinging on to your gringo culture and not assimilating, its about finding some foods you might crave. I will be moving to BsAs in a month. I appreciate your opinion. Good SEO on your site. Oh Burt, maybe one day life will be good for/to you. Yuck to negative nancies. Good day gents. Life is incredible! Thanks for the post. I’ve been living in BA for more than a year now and it’s true, while my first months here I was amazed by the empanadas and milanesas, I really began to crave mc& cheese and some other stuff from back home – especially now that i’m pregnant. Some days I just NEED Mexican food, and the next I’ll be dying for a crunchy baguette. So thanks! Love this site! Not only did it just give us a tip for our business it also helps us have a lot of fun at night (nightlife tab)! Anyway, my friend and I just moved to Buenos Aires about 3 weeks ago. We spent the previous month living on an organic farm in Patagonia learning how to make hot sauce! 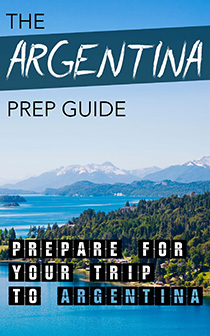 We have begun selling it at the San Telmo fair and other locations around the city of BUenos Aires. We started making “La Boca Roja” because we agree there is an extreme lack of spice down here. We plan to go, right now, to La Fabrica Del Taco to do some research/push our product. If you, or anyone else, has any interest in seeing our crazy adventures through argentina selling hot sauce check them out here at http://www.yayabeans.com/videoupdates or email us at yayabean.ba@gmail.com and we’ll gladly deliver our hot sauce to you anywhere in Buenos Aires! – Mumbai on Honduras in Palermo Hollywood is really quite authentic at serving Indian food. – Bar BQ just opened it’s doors a few weeks ago and I have visited it a couple of times already and going to watch the superbowl game there tomorrow. They have really yummy chicken wings with authentic sauce and great ribs – both beef and pork. Maybe I’m posting here a little bit late.. I am from here, Argentina.. And I like American food.. It IS difficult sometimes to find some American products..
Ps: bread in buenos aires is bad.. Where I used to live, bread was much better.. I’m from rio gallegos.. Thanks for the tips. Definitely plan to check out the cheese shop and bakery. By the way, if anyone is desperately searching for peanut butter, the Dame Mani brand is awesome and you can get it at the supermarkets in Barrio Chino. Great post! I have been looking for a place to buy used appliances. where could that be?… And a place kind of like bed bath and beyond?… Am I out of luck of both of those searches? What are you talking about? I am Vietnamese, and I have been cooking with my parents since I was 10 years old. Most of their recipes contain fewer than a handful of ingredients and I rarely have a problem finding what I need in China Town. If Only they sold Hidden Valley Ranch Dressing here.. I have asked people coming to visit to bring me the Hidden Valley Ranch Dressing envelopes and I make my own with the Mayo here. I have adjusted quite a bit to the food and lack of variety here, in the 4 1/2 years we have lived here but now and then, I do get a wish for something Different. Since everything here is cooked in the same oils with the same spices, no matter what the dish, it tastes like everything else. That is why Indian, Chinese etc are so appealing to me. One more thing .. about the Bread. L’epi Bakery on Montevideo in Recoleta. It actually tastes like Bread !! delicious bread.. all kinds, pastries etc. Just in case you miss Mapple Syrup, if you are coming or somebody is coming to BA instead of replacing with Kero, ask them to bring a bottle, Coudn’t find anymore in Jumbo. They even used to bring root bear, now I get “zarzaparrilla” in chinatown. There you may get peanut butter too. Great article, and in case anyone misses online delivery, I made up a list of amazing restaurants to order spicy food, bagels, and delicious cheese from. Jesus Christ ladies and gentlemen, thanks so much for setting my diet back about 4 years… Hugs to all. Hey guys, i have discovered an american place. they have all the american dressings: thousand island, ranch, blue cheese, honey mustard and they make personalized salads or wraps with these. they also have self serve frozen yogurt! and they make this panini with a really good bread that kind of tastes like baguette. its frenzy natural bar at santafe 2682 close to the shopping mall of palermo. hope this helps some of you with those dressing cravings! And of course i always miss american milk!!! Any suggestions? 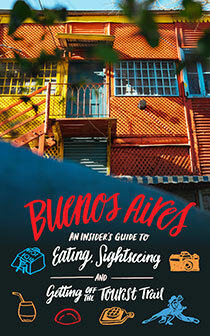 We are currently visiting Buenos Aires and have eaten and walked our way through most known barrios. Having lived in Europe for many years we were spoiled with real French baguettes and croissants, etc. so when we visit a new country we scout out bakeries, etc. We tried L’Epi and Hausbrot and they were a little dry and hard. The best french baguettes we have found here is at Le Coq Francaise on Tacalhuano and ?. We came across it walking to our apt on Montevideo & Arenales. The “owner” even speaks French. Confiteria Malvon in Palermo has great sandwiches and even does a NY style poppyseed bagel with smoked salmon, cream cheese, red onions, and a touch of arugula for an Argentine twist. It comes with capers too but my sis asked to keep them off. We certainly do not miss any American food and we’ve been here a month. Are you having a party or a get toghether? Tired of the same ole pizza and empanadas? Craving some Good All American Honey BBQ or Buffalo wings? I can cater your event.